Endothelial stem cells (ESCs) generate new blood vessels. The process is known as vasculogenesis when the endothelial stem cells originate from the mesoderm, and angiogenesis when they derive from already existing blood vessels. In adults, new blood vessels mainly arise through angiogenesis. Dysregulated angiogenesis has been implicated in many diseases. In particular, thanks to the pioneering work of Folkman, cancer biologists have understood that tumors require angiogenesis to grow and angiogenesis inhibitors can act as potent adjuvants of common anticancer therapies. The angiogenetic potential of endothelial stem cells has also gained interest in cardiovascular research as a tool to restore circulation and viability in ischemic tissues. Popular markers for ESCs include CD34, CD45, CD90, CD117, Sca-1, Tie-2 and VEGFR3. Bio-Rad offers a broad collection of endothelial stem cell antibodies. Please use the filters to sort the attributes in the table below in order to find the antibody that fits your exact requirements. If you need any further assistance please do not hesitate to contact us. Naito H et al. (2012). Identification and characterization of a resident vascular stem/progenitor cell population in preexisting blood vessels. EMBO J 31, 842-855. Patel J et al. (2017). Functional Definition of Progenitors Versus Mature Endothelial Cells Reveals Key SoxF-Dependent Differentiation Process. Circulation 135, 786-805. Ribatti D (2008). Judah Folkman, a pioneer in the study of angiogenesis. 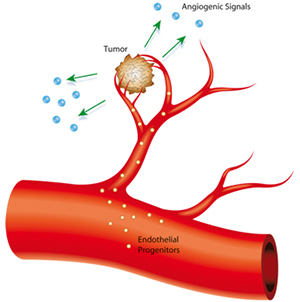 Angiogenesis 11, 3-10. Salven P et al. (2003). VEGFR-3 and CD133 identify a population of CD34+ lymphatic/vascular endothelial precursor cells. Blood 101, 168-172. Yoder M C (2012). Human Endothelial Progenitor Cells. Cold Spring Harb Perspect Med 2, a006692. Yoder M C (2018). Endothelial stem and progenitor cells (stem cells): (2017 Grover Conference Series). Pulm Circ 8, 2045893217743950.